Welcome to the m0vie blog. It’s a small, one-person website that serves as my own personal sounding board for… well, just about anything pop culture related. My name is Darren Mooney, and I run things around here with the occasional (and appreciated) bit of help. We’ve been open for business since 2009, and it’s actually worked out much better than I ever hoped. I started it a place to ramble about movies and other nonsense. I’m a pop culture nerd (with a law degree) and author (check out my book) who has been published in The Trinity Film Review, writes a semi-regular feature over at comicbuzz.com (Ireland’s largest comic book website) and has been know to write the odd theatre review for entertainment.ie (Ireland’s largest entertainment website). Anyway, I do all this as a hobby, so it’s not going to be a 24 hours a day news service or anything like that. 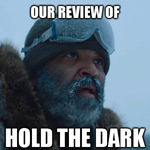 Still, I occasionally get to see movies early, and thus share my thoughts with the world. 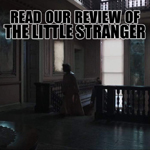 I don’t like using star ratings or anything like that (for a variety of reasons), but you can get a good idea of how I feel about a film by looking at the first and last paragraphs of any given review. Oh, and I’m dead proud of the fact that we won the Irish Blog Award for Best Pop Culture Blog in 2011. I have no idea how it happened, but it was awesome. Similarly, I’ve published a book collecting some thoughts on film, mostly culled from this weblog. It’s called Pass the Popcorn and is available from Amazon.com for only $0.99. 2012 has been a bumper year thus far. I’m now a member of the Online Film Critics Society, which is neat and a massive honour. And, apparently, the National Archives have deemed this site worth preserving for its cultural value. That should be up soon. 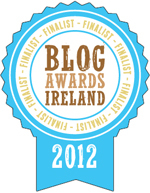 As if that weren’t enough, I’m also a finalist of the Blog Awards Ireland. There is now advertising on the website thanks to the nice folk at wordpress.com, but it only pays a pittance and rest assured that I channel all of that back into the blog. DVDs and blu rays are very expensive, and it’s nice to have even a small amount of money available to justify crazy spends. Anyway, if you want to contact me, please do so here. Oh, and have a nice day, enjoy your stay and feel free to take a look at some of the wonderful links on display. The rhyming was entirely unintentional. Thanks to Matt and Don over at straightfacecomics for doing up a little comic-themed avatar for myself. A testament to their ability is that they made me look almost handsome. Anyway, give ’em a look if your interested in a little bit of humour to brighten up your day – they do three strips a week. You can find them here. 1) Is it OK with you if I spread some link love and link to your blog? I think my visitors would like your blog. 2) I noticed on your blog that you link to other blogs… do you think its possible for you to link to my blog myairshoes.com? Please let me know what you think. Thanks for your time. I’m looking for blogs and publications to review it. 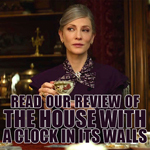 I describe it as James Joyce meets TV Guide. If you’re interested, I will be happy to email you a free copy. im pretty new in the blog world too,i hope to learn from you guys too! I am starting a superhero movie site and was wondering if you would be interested in contributing – if so please email me. Hey, can’t find your email address on the blog, could you get back to me as I’d like to drop you a line and get your thoughts on something. Thanks for adding my blog link, I appreciate it! I’ve put in a link to yours too. Cool Olive – updated it there! Hugely Impressed and (if I’m honest) a little intimidated by your blog Darren. How you manage to crank out so much material so consistently is beyond my comprehension. You have given me something to aim at Darren, cheers. Malcolm, I am up the wall this week. Can I get back to you on the weekend? Having just read your blog post, ‘I Love the Eighties: Blockbuster Edition’, it’s pretty clear Hollywood is reminiscing on the 80s with all these remakes. Even so, I can’t help but be excited to catch ‘The A-Team’ and ‘The Expendables’ when they come out. With all these movies coming out, I thought you might also be interested in this great deal that can help you save at the box office this summer! You or your readers may find that you already have a card that gives you a discount on Fandango movie tickets. If one of you has a Visa Card that simply says ‘Visa Signature’ across it, you could be one of the millions of Visa Signature cardholders who can receive 20% off every $25 in movie tickets at Fandango.com up to four times per month. There are no restrictions on who can redeem the tickets, so it’s also a great gift idea for the movie lover in your life. We would love it if you could share this information with your readers so that they can take advantage of Signature’s premier benefits, namely all of the discounts to the must-see events they are already planning on purchasing tickets for. If you aren’t able to cover the story as its own blog post, we would like to have your permission to comment to your last post with our offer. I look forward to hearing from you soon and let me know if you have any questions! Great site and nice work. We just launched a new movie site, Rankography, and I wanted to discuss a way we could help each other. On Rankography, you can register and set up a profile that describes your blog and includes a link to your sit. 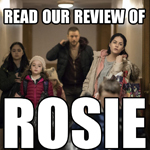 For us, we want highly knowledgeable movie bloggers to come to the site and rank their favorite movies in several categories because that adds value for all members. Ultimately, RG is a discovery tool to find great movies in categories that you really like. I couldn’t find your contact details on your blog – could you drop me an email? I’d just like to drop you a mail and get your thoughts on something? Our top has a friendly interface and it offers free web promotion for your site. Do you mind if I link to your site from my fashion sites? I’m looking for film enthusiasts to participate in the 2010 Movie Blogger Survey. It would be fantastic to get a maximum number of people to take the survey. So if you help us promote it on your blog we will send you a free DVD that you can choose from our great selection. Who is the weirdest film director of all time? and takes less than 5 minutes to complete. I’m also offering a brand new Samsung BD-C5500 Blu-Ray player to the blogger with the highest follower participation! This could be a great opportunity for you to create content on your blog, engage in conversation with your followers and get a great free DVD on the way? Hey Darren, just put up a fresh post about James Bond January, hope you’re still up for contributing stuff? It’d be appreciated if you could spread the love as this is growing exponentially, so the more the merrier! 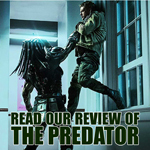 My name is Dazz and I run a site called Dazz’s Movie Reviews to which it does what it says on the tin. I was just wondering, if it was possible, if we could do a link exchange. I would put a link to your site on mine and you would put a link to my site on yours. Hi Darren, really dig your blog. Just had a question, do you plan to review Kieron Gillen’s Uncanny run? Thanks Nick. I restrict myself to hardcovers, so there’s relatively little of the run available. I will definitely be covering his AvX tie-in (and Consequences) when it is released as part of the mammoth “companion” volume this month. Look for those in July-ish, around the time of The Wolverine. I’ll be doing a big X-Men month. Also hoping to do a big Superman month, if this month of Star Trek doesn’t kill me first. Nice, look forward to both of those. Big fan of both Superman and X-Men. I like your blog and the idea behind it. I think I´ll put it to my favorites. Keep up the good posts. I just found your blog. As an avid X-Files fan it felt like finding an easter egg – it’s great to see new (and very informative!) reviews coming out! Thanks! Looking forward to browse through your site! Thanks Thomas. 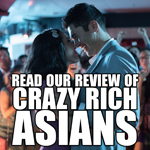 The reviews should be daily on weekdays! non review-review of monster squad! The movie was cute, but I loved your piece on the movie!! I like your style of writing and how you really touched on the characters and plot Ect. 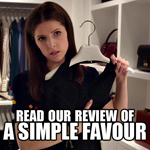 I have recently become slightly obsessed with movie reviews and have even written a few on imdb (mostly movie I didnt like). Iv been considering trying to pursue it a little more professionally. I’m courious on how to get into it and how you started your blogging and how you got people to start reading your articles. Inwould love to hear from you. I’ve been looking through your blog. I like it.